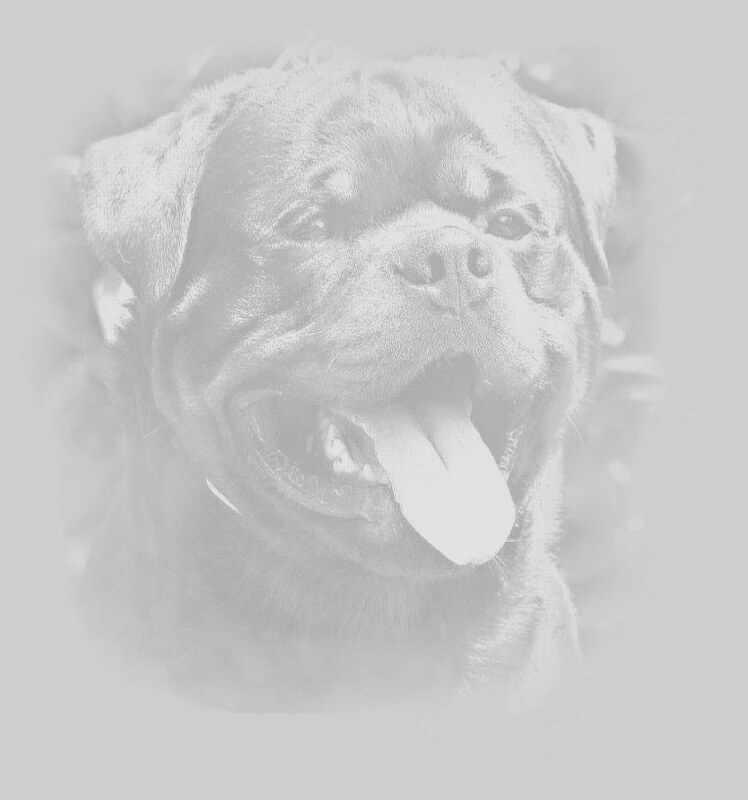 Do Purebred Rottweiler Dogs Go Well With Families? It is unfortunate that Rottweiler dogs have seemed to develop a less than favorable reputation as a fun, safe, lovable family pet. However, the only reason this reputation was developed in the first place is due to bad owners and non-reputable breeders. The fact of the matter is that Rottweiler dogs are more comfortable in family situations, including ones with small children. Not only are purebred German Rottie puppies easily acclimated to family life, they will grow to defend the family from danger as well. They’re like your personal, well-trained bodyguard! When we say Rottweiler dogs go well with your home and even small children, we’re not talking about ones from less than reputable breeders, or even mixes. Of course, those dogs may be great additions to your family, but with Atlanta Haus you can make absolutely, positively sure your dog will go will with your family environment. Atlanta Haus knows that the parents’ lineage and their parents’ lineage behind that. This determines the future temperament of your soon-to-be Rottie family member. 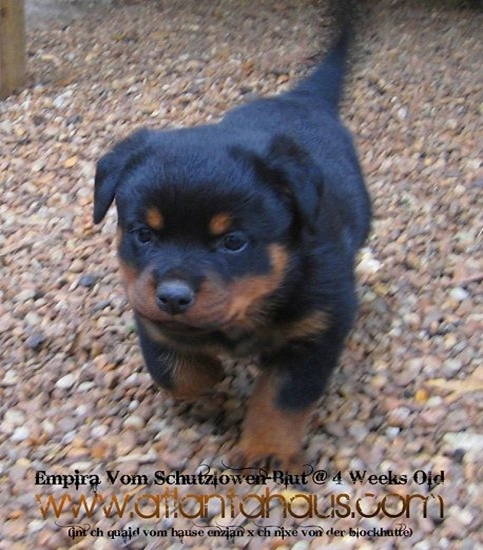 Because Atlanta Haus traces this lineage, performs a comprehensive Volhard Puppy Aptitude Test, and conditions / socializes its Rottie puppies from the start you can be confident you’ll get the same type of Rottweiler that the FCI International Rottweiler Breed Standard points out should “love children” in its temperament description.